In case you didn’t notice, we are officially moved over to my new site! You may want to double check that your feed or email subscription are coming from the right place. Please let me know if you are having any problems as we are still working out some glitches… which may include disappearing recipes. I am a little bit all over the place this week! Monday’s post never happened and it is a small miracle I’m getting this one up today. The new website launched Sunday afternoon and I’m already busy fulfilling orders like a mad woman. It looks like next week I’ll be up to my eyeballs in matzo! While the first influx of orders seemed overwhelming at first, once I took a step back and got organized with lists and spreadsheets I felt a lot better. That really has been the key for me working from home this last week and a half… lots of lists and very specific daily schedules. Some of you commented that you were interested in hearing about the business so I’ll definitely give you some updates on how things are going and how life has changed. For one thing, I think my blog post regularity might come in waves. Whenever I have some KISD downtime, I work on the blog… but sometimes there is none. I’ll do my best to keep the new recipes coming, though! And be on the lookout for special discounts or giveaways in upcoming posts. Those are so wonderful choices. The new site looks fantastic and I look forward to business updates! Love the Passover ideas. I’ve been interested in Passover desserts ever since I started seeing them in Food&Wine a few years ago. They all sound so delicious, not at all like you’re eating a restricted diet. Your new site is GORGEOUS, Lauren! CONGRATS!!!!! Awesome!! My husband is jewish, and we will be going to his family for Passover, I was looking to make something sweet! Thanks for the recipe! :) I know it will be a hit! Let me know if you make anything from here! Love the new look! Congrats! I so agree with you about special diets, replacement ingredients never work quite as well. Thanks for some great ideas! Love the new website! Congratulations on the new business! I know I’ve said this before but I keep oogling over everything here- this site really does look beautiful!!! love your new look, pretty, pretty! And the new site is beautiful. Congrats! So business is booming?!?!? That’s what I like to hear! <3<3 I want those truffles. all three kinds. 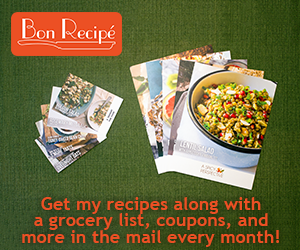 Love the site and your passover recipes. I am new to blogging and currently working on research for passover and easter traditions. Your post gave me lots of inspiration. Best Wishes!!! The new site is gorgeous! Glad the business is going so well! Congrats on your success (though I never doubted it). I love those flourless chocolate cookies…so fudgey! Very pretty and impressive site! Great passover ideas too, I love your work!